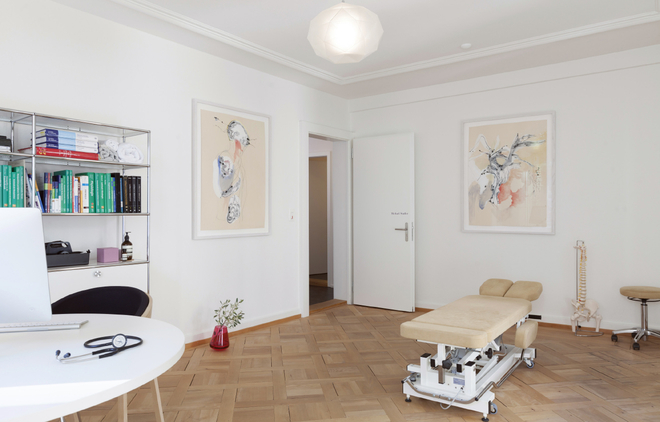 The “Kunst in der Praxis” or “Art in the Surgery” project developed from the needs of surgery owners to design their premises in a way that makes patients feel valued and trusting. 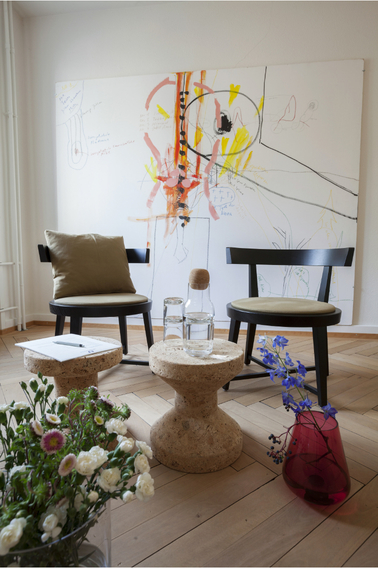 The focus is on up-and-coming Swiss art. The trusting relationship between patients and the osteopaths who treat them should be cultivated, rather than disrupted, by the art. 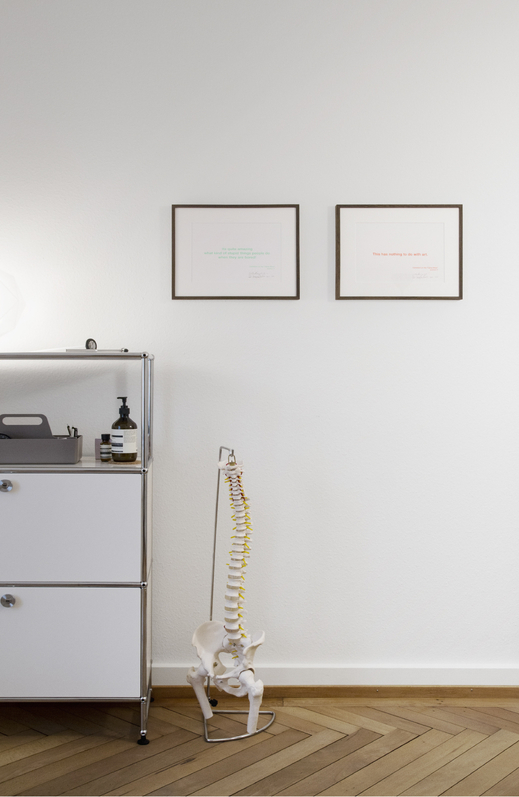 Through the positioning of art within the waiting room, a new level comes into play between patient and doctor, which is advantageous in many respects. “Art in the Surgery” is also designed to be an expression of a work ethic. 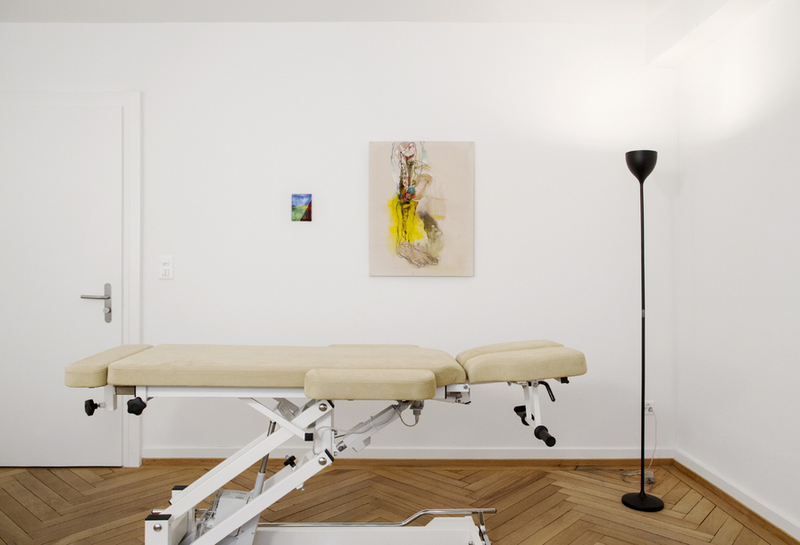 In agreement with surgery owners, König Büro takes care not only of the display, but also the hanging of the works in the surgery premises.